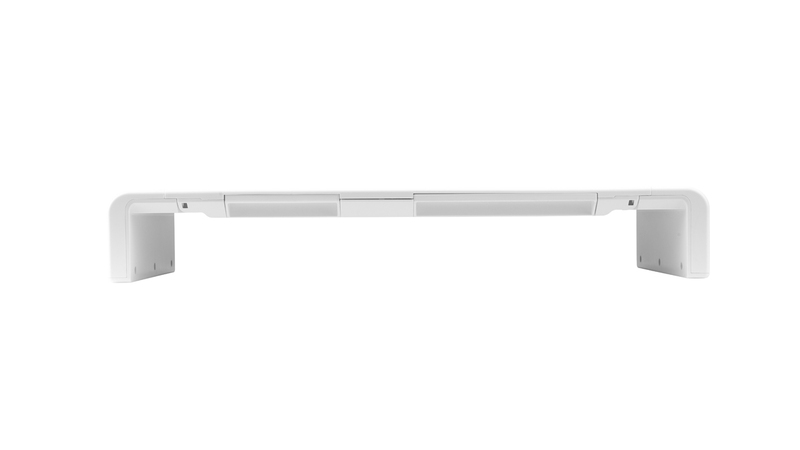 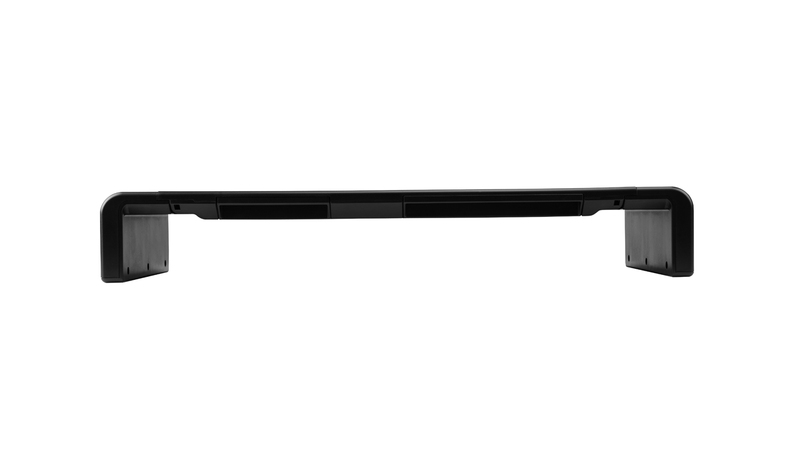 Patented width-adjustable design with 3 options (420/470/520 mm). 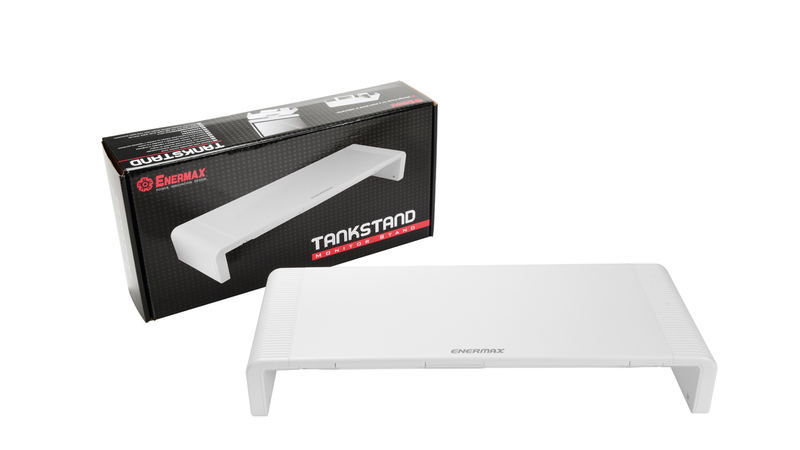 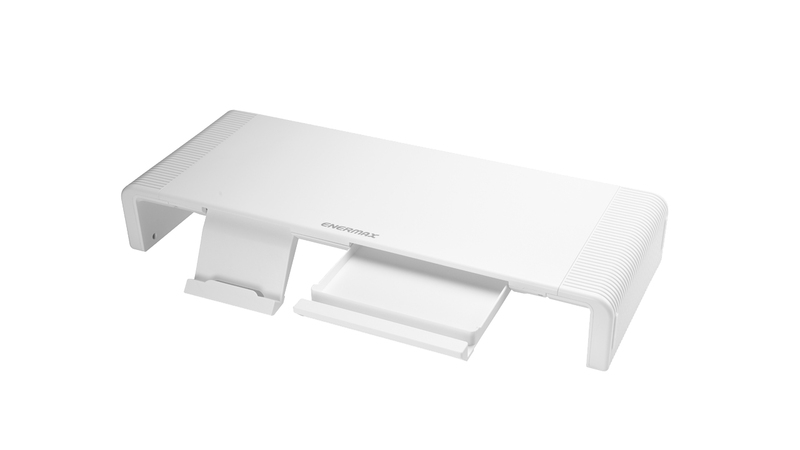 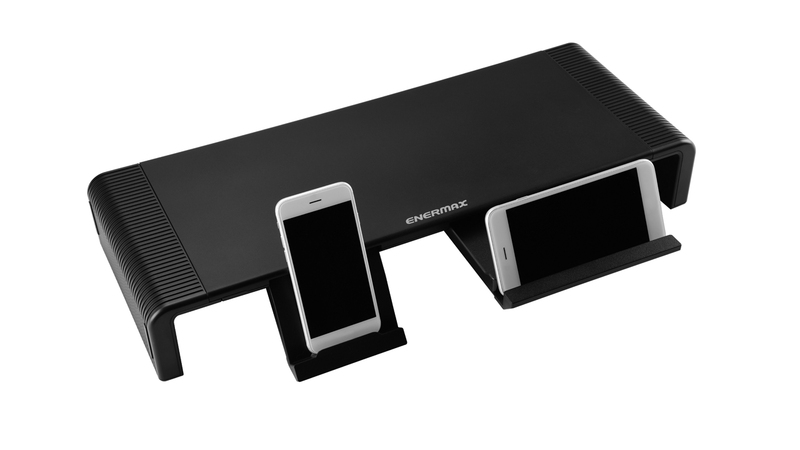 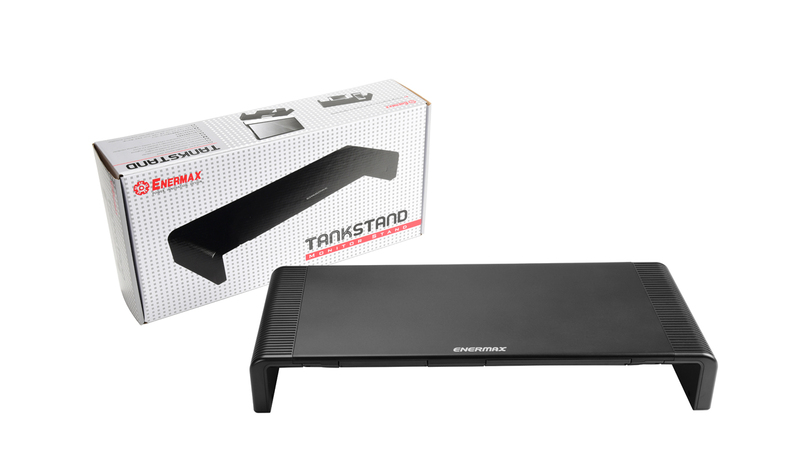 Multipurpose design that can be used for several applications such as: Monitor stand / LED TV riser, laptop stand and printer stand. 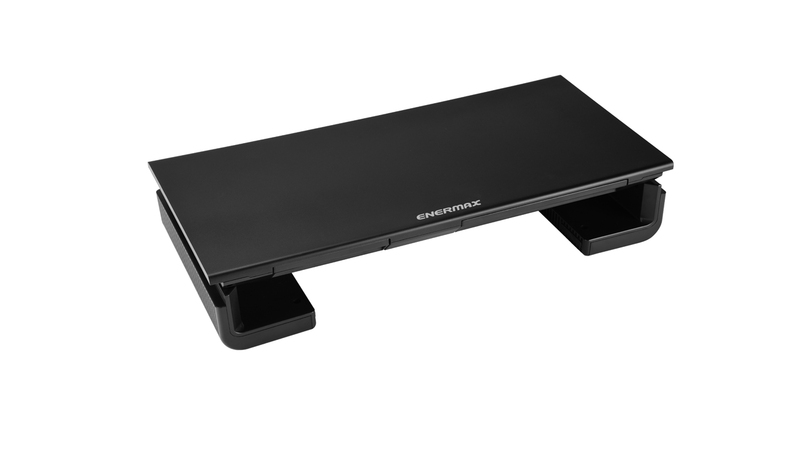 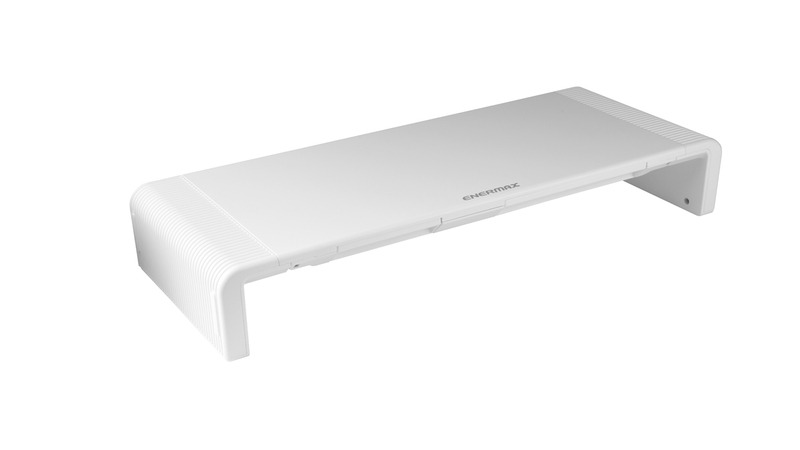 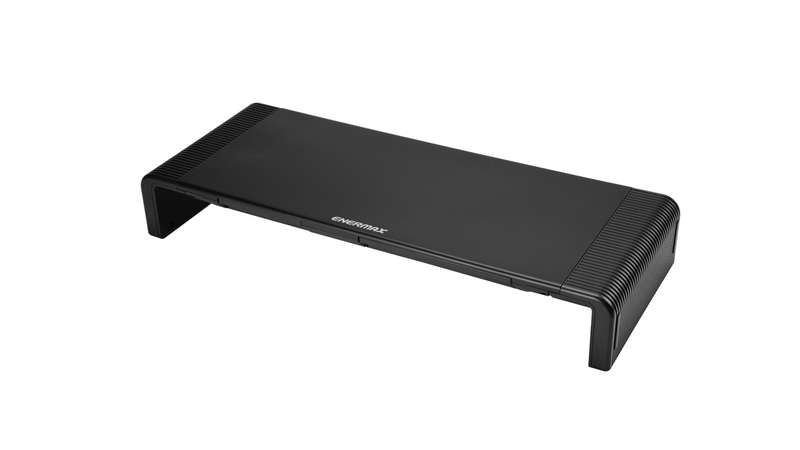 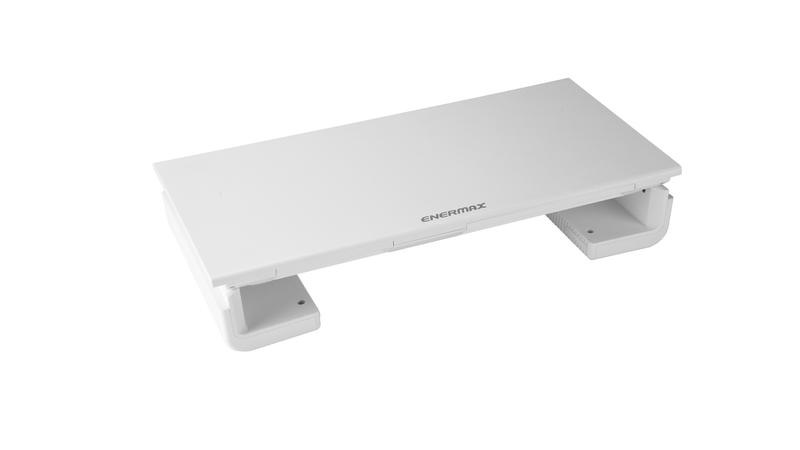 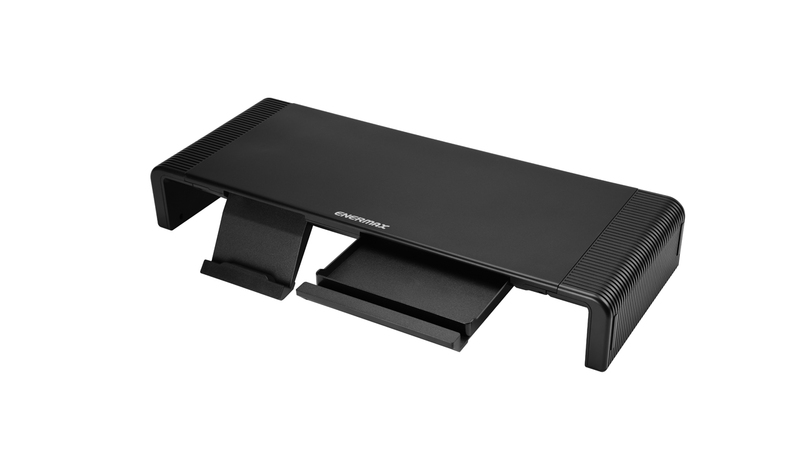 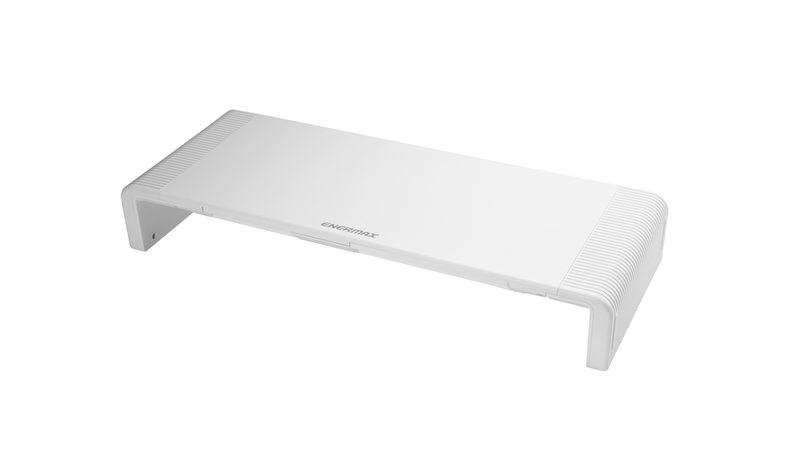 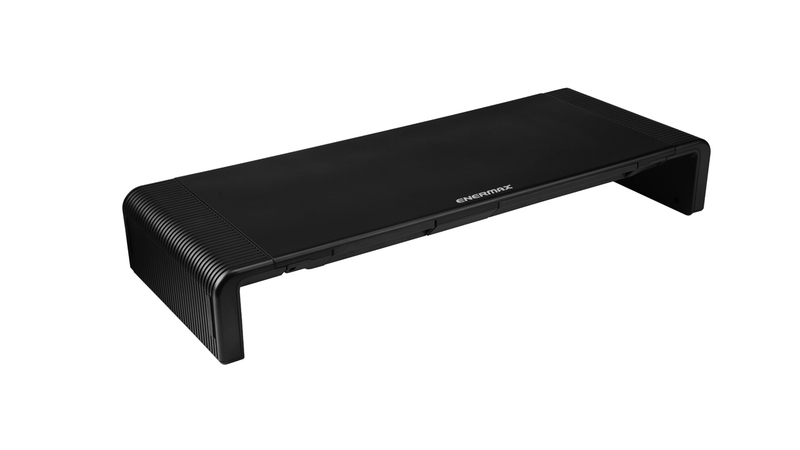 Holds monitors or other devices up to 20 kg. 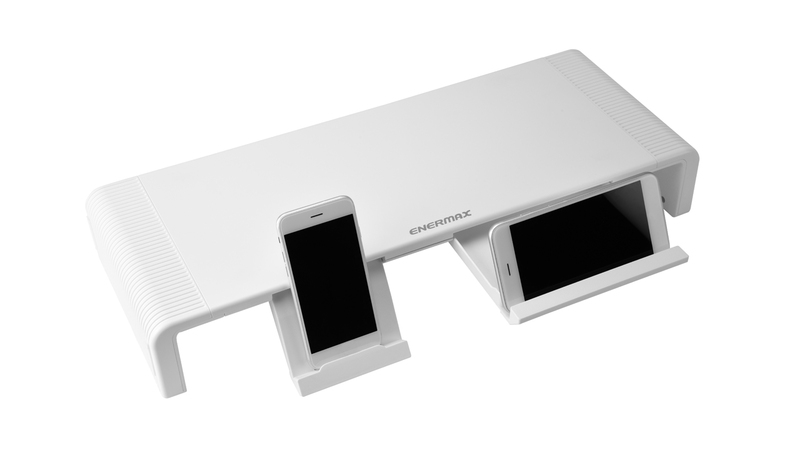 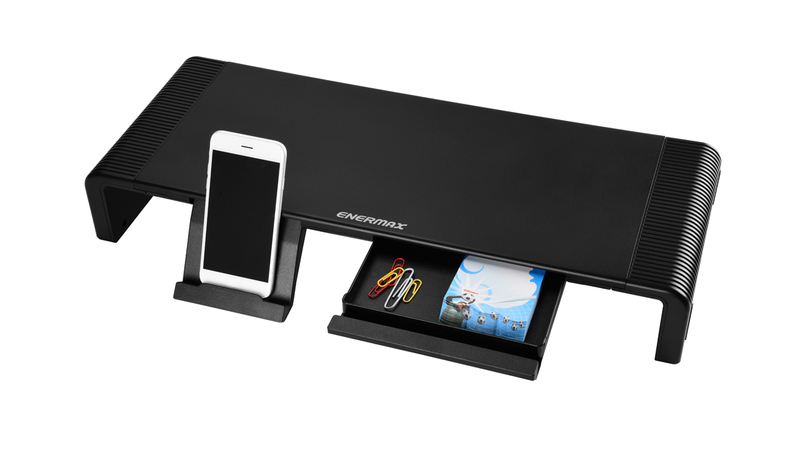 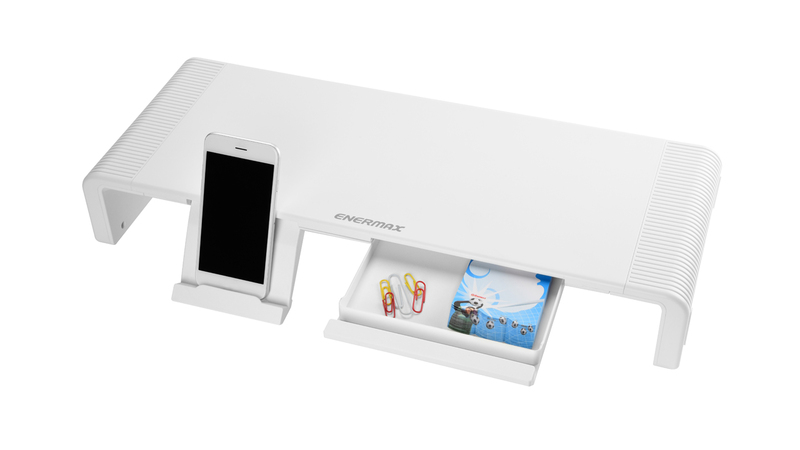 Built-in mobile phone, tablet stand and storage drawer. 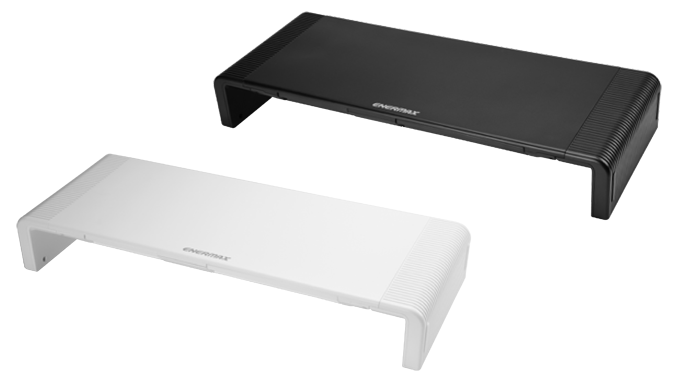 Underneath space to stow keyboard, game console, DVD player and laptop.